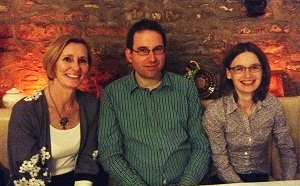 May 2015 has seen Dr Larissa Allwork and Dr Sonya Andermahr, representatives of the CCN&CT’s Interdisciplinary Research Group in Trauma, Narrative & Performance participate in a major conference at the University of Zaragoza, Spain as well as hosting an international one-day symposium on ‘Decolonizing Trauma Studies’ at the University of Northampton School of the Arts. Sonya and I both gave papers at The University of Zaragoza’s ‘Memory Frictions’ conference (6-8 May 2015), which was organized by María Jesús Martínez-Alfaro and Silvia Pellicer-Ortín, who co-edited with Sonya the essay collection, Trauma Narratives and Herstory. I presented on the literary and political essays of Lithuanian poet and emigre intellectual, Tomas Venclova and Sonya gave a paper on Andrea Levy’s novel Small Island. Throughout the conference we were fortunate to engage with keynote lectures by Professor Jean-Michel Ganteau (University Paul Valéry-Montpellier), Professor Bryan Cheyette (The University of Reading) and Professor Robert Eaglestone (Royal Holloway, University of London). 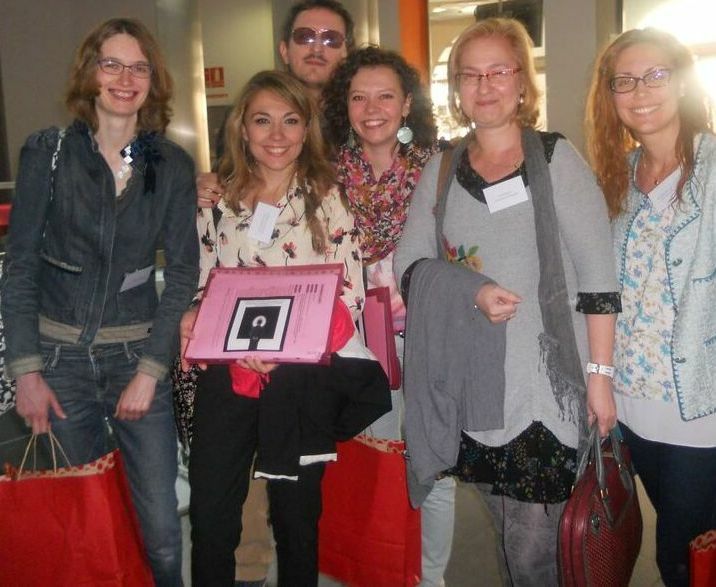 Larissa and members of the Zaragoza team at ‘Memory Frictions’ (Photo: Maria Pilar-Royo Grasa). We also got to see some great panel sessions featuring academics such as Susana Onega, Alan Gibbs, Sue Vice, Peter Lawson and Ruth Gilbert. We took the opportunity to catch up with our academic partners in Zaragoza, particularly those PhD students who have spent a term of their degree studying at the University of Northampton. It was good to see that María Ferrández is making such good progress on her E.L. Doctorow doctorate and it was wonderful to celebrate with Zaragoza supervisor Dolores Herrero, the submission of María Pilar Royo Grasa’s PhD on Gail Jones. It was also fantastic to catch up with Ana Beatriz Pérez Zapata who will be coming to the University of Northampton in Autumn 2015. The symposium was an international event which featured academics, early career scholars and PhD students from the University of Northampton Schools of the Arts and Social Sciences, our academic partners, Zaragoza and King Saud University, as well as from UCL and the University of Edinburgh. Click here to access the Decolonizing Trauma Studies Programme and poster. We were also pleased to welcome artists, Sayed Hasan and Karl Ohiri who introduced their exhibition in Maidwell atrium, ‘My Grandad’s Car’. The symposium ended with closing thoughts from Professor Janet Wilson and an excellent round-table on the future of trauma studies, featuring Professor Craps, Professor Bryan Cheyette (The University of Reading) and Dr Alan Gibbs (University College Cork). To see more photographs from the Zaragoza conference and the ‘Decolonizing Trauma Studies’ symposium, please use the slideshow below. All photos on the slideshow are by Maria Pilar-Royo Grasa for ‘Memory Frictions’ and Larissa Allwork for ‘Decolonizing Trauma Studies’, unless otherwise stated. Posted on June 3, 2015, in Conferences, Events, Research Institutes and Centres, School of Social Sciences, School of the Arts, Workshops & Training. Bookmark the permalink. Leave a comment.